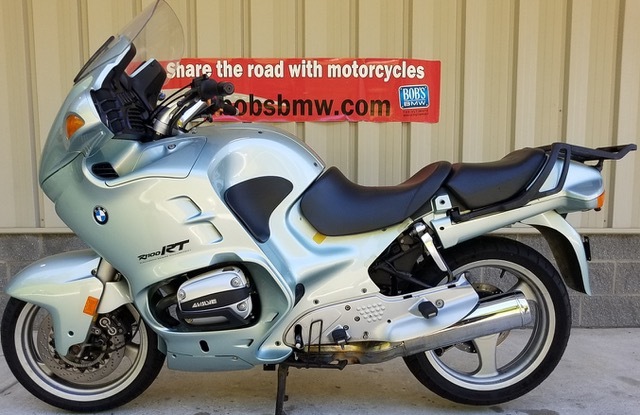 Bob’s did not sell this PROJECT BIKE when new; it was purchased in Georgia at a now closed and gone Honda-BMW shop. We did however service it nine (9) times between 2004 and 2011 for a long time customer who was riding it regularly until fairly recently. But between July 2011 and July 2018 when it arrived for us to find it a new home it only saw 1,478 miles of use – no matter how you do the match that’s only 211 miles per year on average. 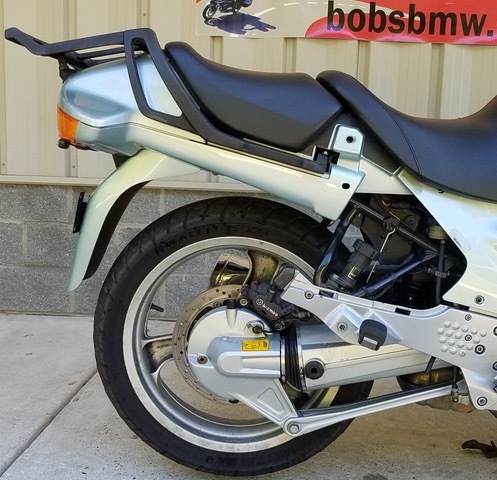 It needs a full refreshing by a new owner but we think there’s a lot of life and a great opportunity here in this Bob’s PROJECT BIKE. To start this process we urge every potential buyer to ask questions if anything is not clear. 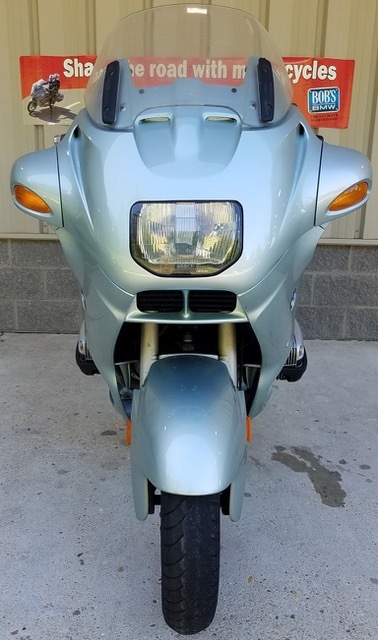 We’ve nothing to hide and our only goal is a new owner for each and every PROJECT BIKE who feels they paid fairly and got good if not great value in the deal. We have a disclaimer about our PROJECT BIKES. 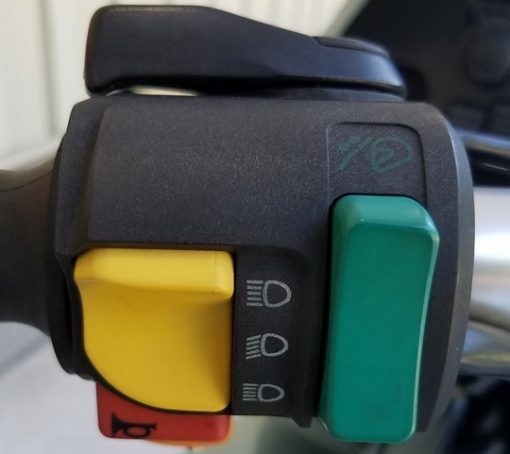 We encourage people to call, schedule a time to visit, meet with one of our sales advisors and inspect each machine in person so they know all the positives and any negatives involved in the refurbishing process with full clarity. 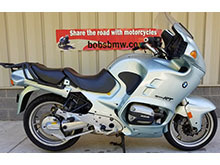 You can read that and more about Bob’s PROJECT BIKES here on our website at:https://www.bobsbmw.com/new-motorcycles/project-bikes/. Over the years, we’ve sold well over a hundred PROJECT BIKES and every single client except one RPITA has been exceptionally pleased with their acquisition. 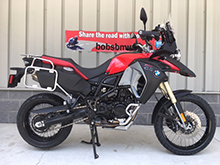 That’s always our goal, just as it is with our exclusive ADVANTAGE CERTIFIED pre-owned used BMW motorcycle program. We did manage to make that lone RPITA happy in the end despite very unrealistic expectations after an extensive inspection, review and conversation before buying it. And we’ve even taken a few back in trade as good used bikes once all the work was done and the owner had enjoyed the bike for a number of years. We did get this currently not running (very dead battery) PROJECT BIKE started with the shop heavy duty battery-charger-jumper on the first attempt. We wanted to make sure we did not hear any strange noises which we did not. 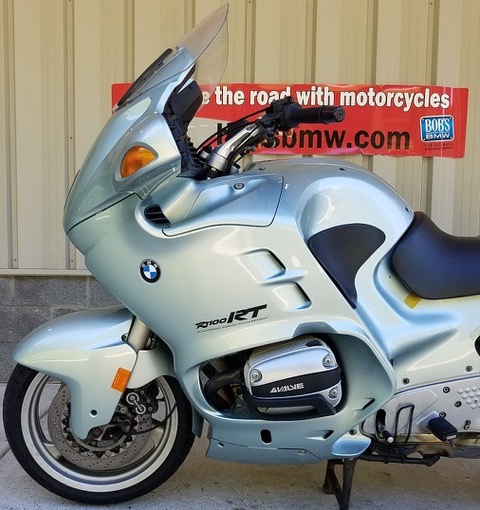 It “ran roughly at first but smoothed out” according to the BMW Master Tech who did the review on this PROJECT BIKE. The fuel is old and should be drained, fresh fuel should be added along with a new battery. 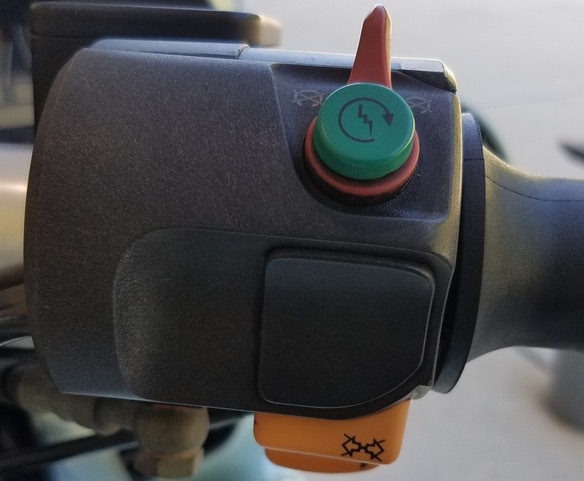 The injectors need at least one dose of fuel system cleaner run through them and it’s possible that a good run of 25 plus miles might be all it needs or it may need a more complete fuel injection system cleaning. It can’t hurt to change the fuel filter as well. To attempt that 25 mile run before going farther on this PROJECT BIKE the next owner will need to also install a fresh set of tires. These date from 2007 (front) and 2009 (rear) and while the rear should technically pass inspection the front has basically zero tread remaining so even a short test ride is not advised and we did not even attempt to ride it around the building to check brakes, shifting, etc. but on the lift during our evaluation all these items seem to be in OK condition. The technician involved did note that he’d like to see the brake lines or hoses updated as any brake hose has a safe life span even under ideal conditions and at 22 years they are just due to be changed. This PROJECT BIKE is basically stock. It arrived without saddlebags or the black side covers. 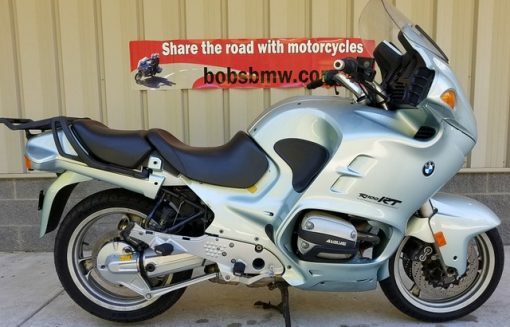 It has the original BMW heated grips with what appear to be replaced OEM coverings. 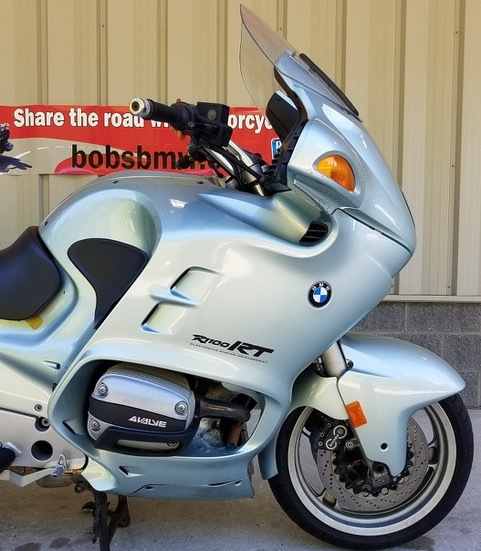 It has an early Bob’s Wrist Rest and a very cool, solid and color matched fiberglass rear fender that we don’t recall ever seeing before. It also has a set of P3 style rear running/brake lights. It also has the original 4-way flashers. We did not check the electric windscreen, heated grips or any other electrical systems for operation as it was only running for a very short time. We could assume that these items will work since we see very few failures in general but there’s zero guarantee that they do. We measured all three brake discs on this PROJECT BIKE and the front set is over BMW and Maryland Safety Inspection (MSI) minimum specifications. The rear would likely fail as it had some readings under spec and a few over and that’s not uncommon as a disc wears down. We’d urge the next owner to replace the rear disc and pads all around to gain maximum brakes again. Of course all fluids and filters should be changed since it’s been 7 years (1,478 miles again) since the last recorded oil and filter change and longer since the other fluids were done. It is believed that the bike has had just two owners since new but we cannot fully verify this fact. 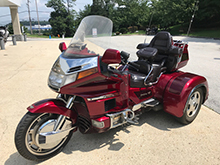 Cosmetically the paint on this PROJECT BIKE is a solid 8.5 to 9 on Bob’s tough 10 scale if you eliminate the heat damage by the lowers and headers. We have seen this occur on large numbers of R1100RSL’s, RT’s and the later R1100RS/RT’s over the years. It stems from too much time idling in traffic and while the engine can cool itself just fine the heat builds up in that somewhat hidden cavity. The wheels appear straight, true and undamaged. The windscreen is shot as the coating is peeling. The gauges, instruments, controls, switches, exhaust system, most rubber and even the hardware and fasteners are in pretty good shape. 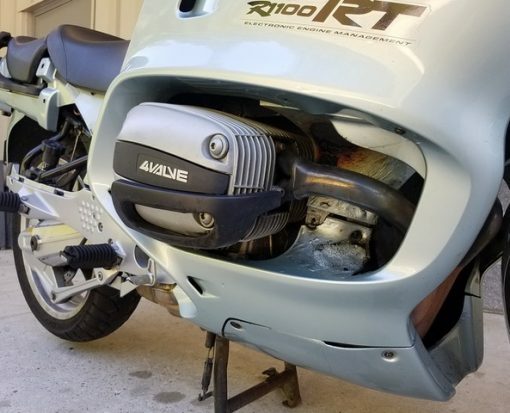 There are a few noticeable but pretty small nicks from almost 60,000 miles of use on this PROJECT BIKE on the front fender and fairing and a few small cracks/tiny holes in the seat but the foam and covering in general is good. 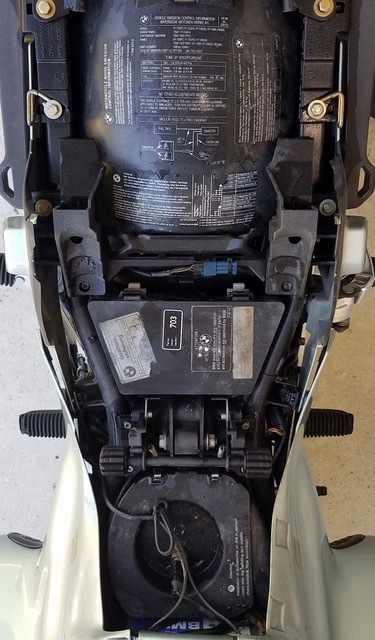 Both cylinder head guards show signs of light ground contact from a driveway type tip over but there is no indication the bike was ever crashed or laid down otherwise. 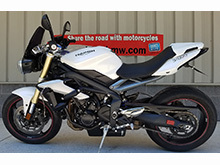 It is offered without the owner’s manual, tool kit, tire repair kit or workshop/service manual but we sell all those items new and like any PROJECT BIKE sold at Bob’s the buyer and next owner will get a nice discount on everything they wish to purchase to get this one back on the road is safe and roadworthy condition. 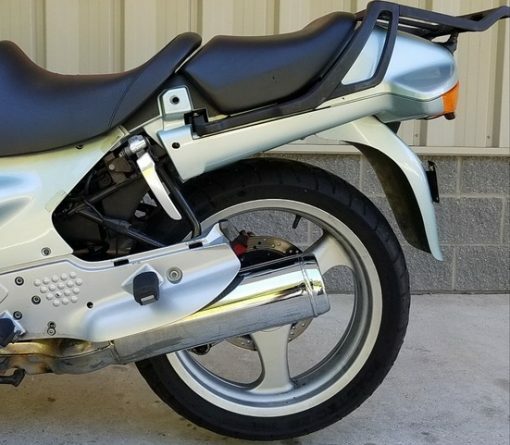 This good looking PROJECT BIKE comes with two (2) keys and a ton of value to be gained by the next owner at this very low price point.